The seventh of the 27 Nakshatras is Punarvasu, which spans from 20° Gemini/Mithuna to 3° 20′ Cancer/Karkata in the Sidereal Zodiac. Punarvasu, पुनर्वसु, means restoring or commencement of wealth, but broken down into its two parts we can see more depth to its meaning. Punar/punah means again, once again, and home. Vasu means good, excellent, light, and radiance. Under the influence of Punarvasu, one is driven to seek out and return spirituality, the light, and truth back to one’s home, life, and this earthly realm. The symbols for Punarvasu are the bow and also a house. The bow represents the desire, drive, and forward movement with one’s spiritual objective, and the house represents the destination – the place where one can rest and be at peace within. Punarvasu’s ruling deity is Aditi, the mother of Surya, the Sun, and of the Adityas, the celestial gods. She is the cosmic matrix of space and the primeval sound (vibration), which when it yokes with Consciousness, matter forms. This celestial mother is unbound, free, and limitless, and as the mother of the Sun, it is she who brought forth the light that sustains life on our home, earth. The ruling planet of this Nakshatra is Jupiter/Guru, who is the teacher who guides us on the righteous path, showing how to bring our intellect and spiritual knowledge (the Gemini/Mercury part of Punarvasu) into our lives on this earthly realm (the Cancer/Moon part – the Moon reflects the light of the Sun onto Earth). Punarvasu’s main Guna is Rajas with a secondary influence of Sattva, and its main motivation is Artha. One born with their Moon in Punarvasu is very likely to work hard at and to be passionately driven to reach one’s goals, which will most likely be of a highly spiritual nature. This entry was posted in Astrology & Astronomy and tagged Aditi, artha, astrology, awakening, Cancer, consciousness, Gemini, Gunas, Guru, Jupiter, Jyotisha, Karkata, lunar zodiac, matrix, Mercury, Mithuna, moon, punarvasu, spiritual growth, sun, Surya, Vedic Astrology. Bookmark the permalink. Julianneji again wonderful revelations for the uninitiated – I may add that Lord Rama’s birth was in Cancer and his Nakshatra of birth was Punarvasu. – the chants or bhajans on him declare this. Thank you so much and for the information Indrajit! As you read through the Nakshatras, please note that I have made a few edits as well as a few minor corrections concerning the Gunas in the new book. I will go through and make those corrections in all the posts soon. I think Lord Rama was born under Punarvasu . Thank you for explaining the symbolism of the bow, I love the image of a magical bow. 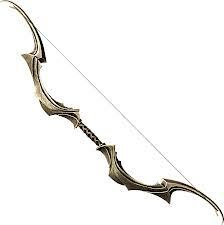 I love archery , maybe because I have my venus in Sag with a Sag MH and 9th house stellium. My moon is 21 Gem in Western system so I guess this would not apply to me right? I love these posts but must admit I get a bit lost. It helps me empathize with those just learning astrology basics. thanks for another lovely article. If you email me your birth data, I can look up your Nakshatra.